Robert DeLeo doesn’t appear on any ballots in Boston, but candidates in contested state representative races are hoping to turn the Sept. 4 Democratic primary into a referendum on his speakership. In three districts, office-seekers have mounted serious challenges to long-time incumbents, and all three share a common line of attack: The incumbents, they say, are just too close to DeLeo. There are some good reasons to be frustrated with DeLeo, whose House didn’t even take a vote on zoning and immigration measures this session. But framing the race as a proxy war against the speaker does a disservice to the candidates — incumbents and challengers alike. Up close, the three races look much different than the throw-out-the-bums framing would suggest. START WITH the easiest call. State Representative Liz Malia is running for reelection in a district that includes parts of Jamaica Plain, Roslindale, and Roxbury, and the Globe endorses her. First elected in 1998, Malia carved out a niche as a mental health expert and rose to a leadership position, assistant vice chair on the budget-writing Ways and Means Committee. She’s also played a constructive role in the district — for instance, by seeking to shepherd the planning process for new supportive housing beds at the Shattuck Hospital site. Neither of her opponents — Charles Clemons Muhammad or Ture R. Turnbull — would be a better representative, and the district would lose a nose-to-the-grindstone expert on important, oft-neglected issues. NEXT DOOR, State Representative Jeffrey Sanchez faces a well-organized challenge from Nika Elugardo to represent parts of Jamaica Plain, Roslindale, and Mission Hill, along with a tiny slice of Brookline. Sanchez is also part of the House leadership team, and not just any part: He chairs Ways and Means, which in the past has been a stepping stone to the speakership itself. But that position has put him in the crosshairs of immigration activists, who tried in the last session to move protections for immigrants as a budget amendment. This editorial page supported — and continues to support — that bill, but its importance shouldn’t be overstated. 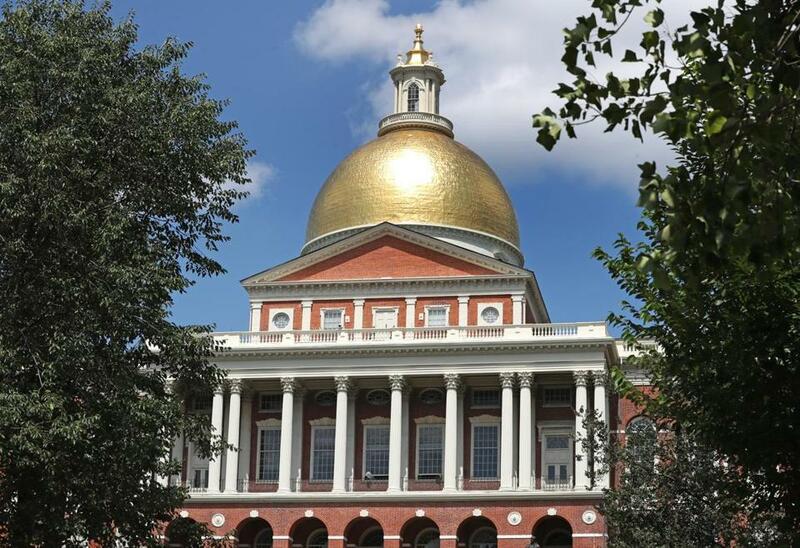 The amendment would have banned Massachusetts from participating in a (thus far nonexistent) Muslim registry and from setting up so-called 287(g) agreements that allow US Immigration and Customs Enforcement to train local officers on some immigration laws. It wouldn’t have stopped ICE — something outside the state’s control. Failing to pass the amendment — which Sanchez himself supported — shouldn’t be a litmus test or a reason to reject a representative who has demonstrated support for immigrant communities over his entire career. Elugardo seems to be endorsing every progressive-sounding slogan, the better to position herself to the left of Sanchez. She wants single-payer health care, but when pressed in an interview with the Globe, lacked details on how it would work. She hasn’t given any convincing reason to discard Sanchez. The Globe endorses him for reelection. THE TOUGHEST choice is in the district encompassing the South End and bits of Roxbury and Back Bay. It’s currently represented by the iconic Byron Rushing, who has been in the Legislature since 1983 but faces an unexpectedly strong challenge from Jon Santiago, an emergency room doctor at Boston Medical Center. Of the Boston challengers this year, Santiago is easily the most impressive. Raised in Roxbury, he graduated from Yale School of Medicine, served in the Peace Corps, won a Fulbright scholarship — and, oh, is also a captain in the Army Reserves. The opioid emergency, he says, is his priority. He experiences the crisis every day at BMC, which is practically next door to the epidemic’s ground zero, the corner of Massachusetts Avenue and Melnea Cass Boulevard. He has already contributed to policy reforms, leading the push to widen access to the state’s prescription monitoring program . Santiago complains that the Legislature has largely ceded opioid policy-making to the governor. Among other causes, he says the Legislature should be pushing to make treatment with drugs like Suboxone easier. Rushing, who mentored Santiago, has the authority that comes with decades of civil rights advocacy and neighborhood activism. And he undoubtedly has clout on Beacon Hill, demonstrated by his recent leadership on transgender rights legislation and criminal justice reform. Unfortunately, he’s also been using his influence lately to block a distracted-driving bill. Rushing says he won’t back any legislation that could result in more traffic stops without racial profiling legislation too. It’s a principled stand, but why should two good policies be pitted against each other? In an interview with the Globe, Santiago dodged questions about how he would handle the distracted driving bill; hopefully, if he’s elected, his medical background will lead him to see both as urgent public safety problems. The Globe endorses Santiago but honors Rushing’s decades of service to the neighborhood, the city, and the state. Every election is about the next two years, and Santiago — along with Sanchez and Malia — would be an effective representative.